2 needles post bed small hook sewing machine equipped with electric thread trimmer only. 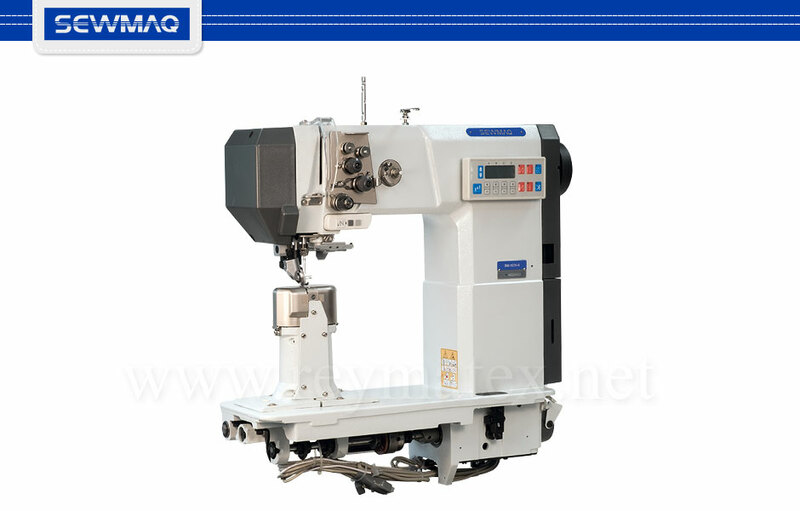 Needle feed, roller presser foot, roller feed dog transport. Chinese servo motor of 750w assembled under the sewing machine head.